As the official lecture period ended in February, March was dedicated to research and projects. On schedule with the beginning of spring, we released our new webpage PhenoSens.org. PhenoSens is a non-profit, training initiative in the field of phenology promoted the Department. 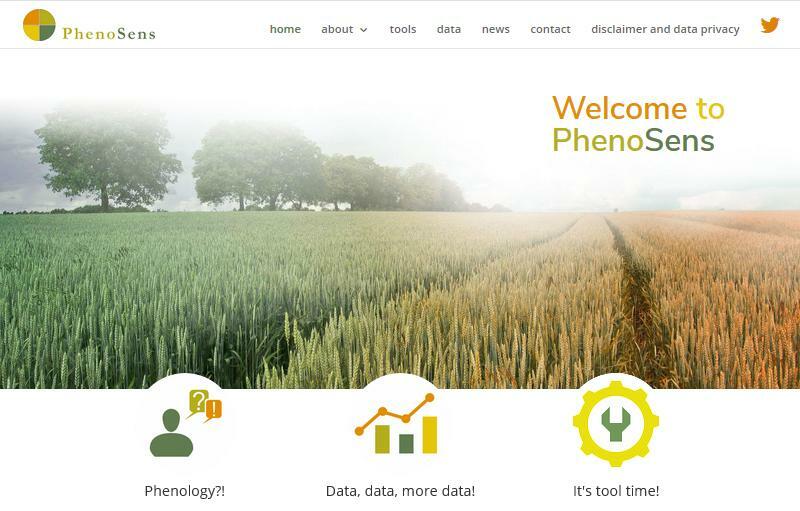 PhenoSens was designed for both researchers and practitioners from different disciplines working with – or interested in – phenology and remote sensing providing a platform to promote ongoing activities and foster future interdisciplinary collaborations. Together with AgriSens.org and EcoSens.org, PhenoSens.org shows how to use earth observation in the context of the department’s core topics agriculture, biodiversity and ecosystem services and phenology. Our colleagues working within the CAWa project visited the project partners in Tashkent (Uzbekistan) and presented the new interactive ‘Productivity Calculation Tool’ within the open-source webgis WUEMoCA. The WUEMOCCA tool was designed to improve the use of land and water resources in Central Asian irrigation systems in a sustainable way. The data is based on analysis results from freely accessible climate data and MODIS satellite imagery. During the meeting, the roadmap for an extensive validation campaign in 2018 was also drawn up. 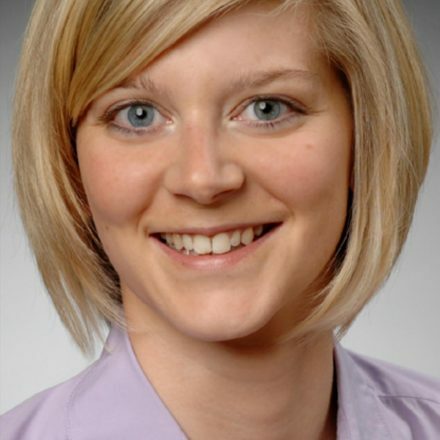 Sarah Schoenbrodt-Stitt has joined the field trip to Israel within the framework of the BMBF-funded project MedWater. The overall objective of MedWater is the optimal management of scarce groundwater resources in vulnerable aquifers subject to the Mediterranean climate by developing management tools for improving efficiency in water use and preserving existing water resources and ecosystem services. Our new project DEMMIM_2.0 project aims at collecting in-situ data following international standards for agricultural landsacpes in Northern Germany. Read more about the project, which is part of the environmental observation network TERENO and the international validation network JECAM, and our activities here. The RStoolbox R package provided by our colleague Benjamin Leutner was updated by Jakob Schwalb-Willmann, who finished the development of the first version of a spectral unmixing function. 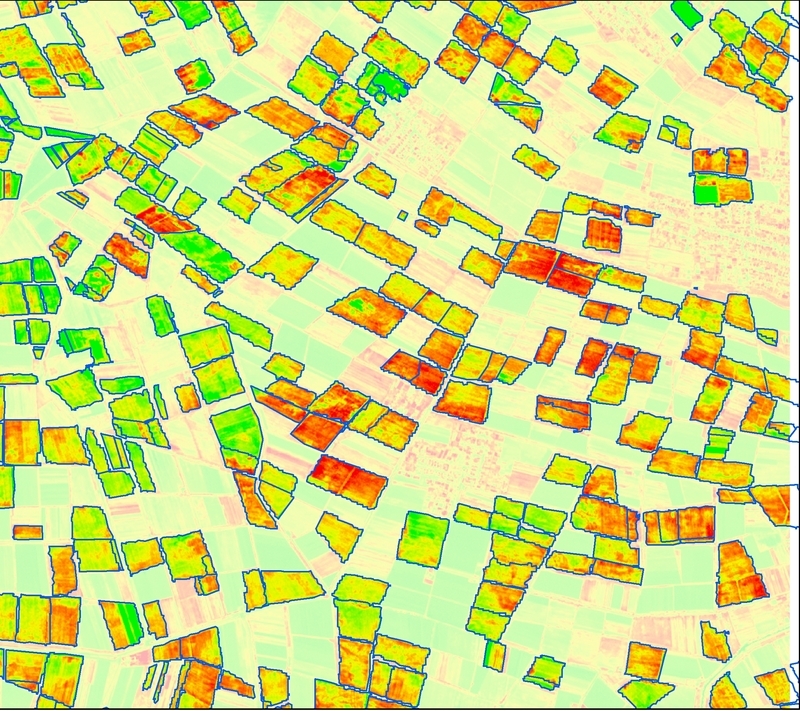 RStoolbox is a R package providing a wide range of tools for your every-day remote sensing processing needs. The available toolset covers many aspects from data import, pre-processing, data analysis, image classification and graphical display. RStoolbox builds upon the raster package, which makes it suitable for processing large data-sets even on smaller workstations. So far, RStoolbox was downloaded over 22,500 times! A new book chapter on “GIS-Based Data Synthesis and Visualization” was published within the book “Ecological Informatics – Data Management and Knowledge Discovery”. Our colleague Martin Wegmann contributed to this paper that shows remote sensing data analysis and measuring ecological diversity from space. Examples using the free and open source software GRASS GIS and R are provided. In cooperation with the WASCAL project, a new paper has been published in the Journal of Arid Environments about the assessment of vegetation degradation in Burkina Faso utilizing MODIS NDVI data. The paper was written by our former guest Benewinde Jean-Bosco Zoungrana who finished his PhD in 2016 under the supervision of Michael Thiel and Christopher Conrad. In school times I was courted by astronomy and geography. Geography won and Prof. Dech's Department of Remote Sensing at Würzburg University made a good case for it. Instead of looking to the skies, I decided to observe our Earth from them. My research interests include the potential of Earth observation data for phenological monitoring, the drivers of changes in vegetation development and bridging the gap between in situ and remotely sensed phenological parameters. I am about to finish my PhD thesis on the assessment and analysis of land surface phenology and I love passing on what I've learned to our students.